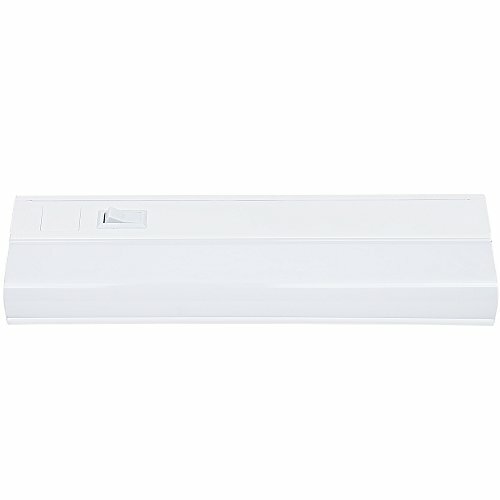 Hardwired LED Under Cabinet Lighting - 8 Watt, 12'', Dimmable, CRI>90, 3000K (Warm White), Wide Body, Long Lasting Metal Base With Frost Lens by HARRRRD at F LED Lights. MPN: L/UC12/8/XU/830/LKM1. Hurry! Limited time offer. Offer valid only while supplies last. GLARE-FREE frosted lens makes it easy on the eyes with warm bright light. Perfect size to fit under that one narrow cabinet. Great companion to our other 18-inch, 24-inch and 48-inch options.